After numerous dates proposed and email exchanges, here it is! The final CCR Book Club meeting for this season. 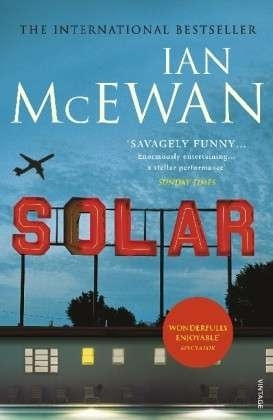 The Book Club selection for this month is British author Ian McEwan's "Solar". Published this year it is the satirical story of an over-the-hill physicist who, through a freak accident, is given the chance to disentangle his personal life, rejuvenate his career and save the world from environmental disaster.